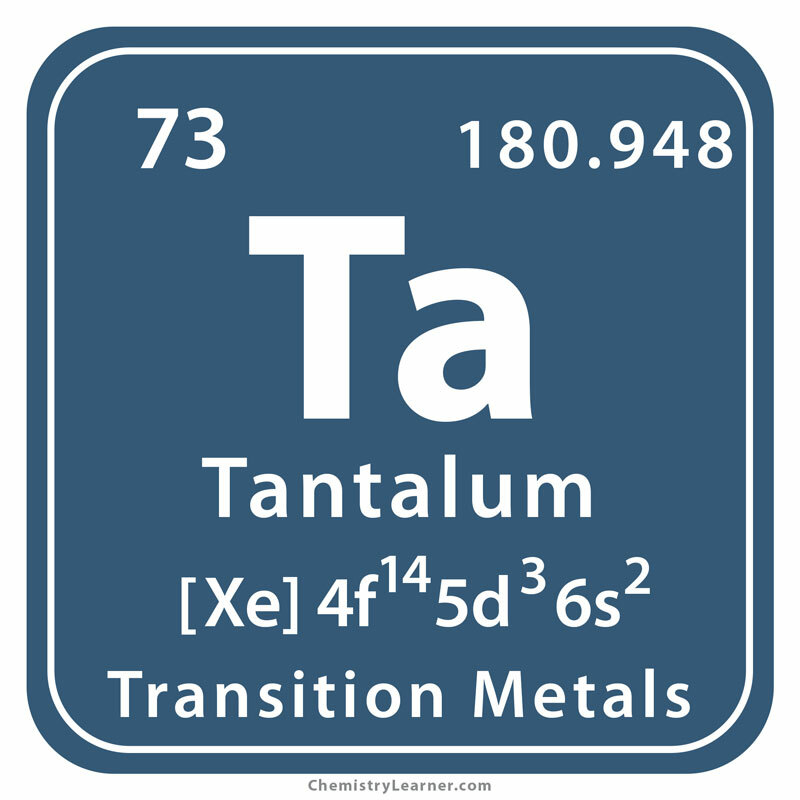 Tantalum (pronounced as TAN-te-lem) belongs to the family of transition metals and denoted by the chemical symbol Ta. It has thirty-one isotopes out of which tantalum-181 is the most stable one. It is further processed to produce sheets, capillary tubes, wires, rods, foils, plates, bars, and balls for different commercial applications . 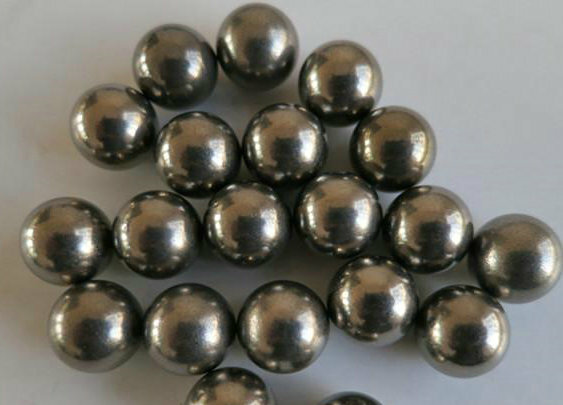 A rare-earth metal, it is obtained from tantalite, euxenite, and columbite. Ores of these minerals are found in Australia, Mozambique, Brazil, Thailand, Nigeria, Zaire, Portugal and Canada from where Ta is mined. It is also extracted as a byproduct of tin . Its abundance is about 1.7 parts per million and 0.2 parts per million by moles on earth . Origin of its Name: It is named after the Greek mythological king Tantalus. Who Discovered it: In 1903, the element was synthesized by the German scientist, Werner Von Bolton. In 1802, Angers Gustav Ekeberg at the Uppsala University, Sweden claimed to have found a new metal. 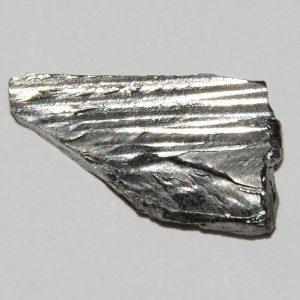 William Wollaston did a further analysis of the mineral ore called coltan (columbite-tantalite) from where the metal was extracted and declared it to be the element niobium, already discovered before. Due to the similarity in the chemical properties, identifying the new metal was challenging as there were no methods available during those days to separate the two elements. 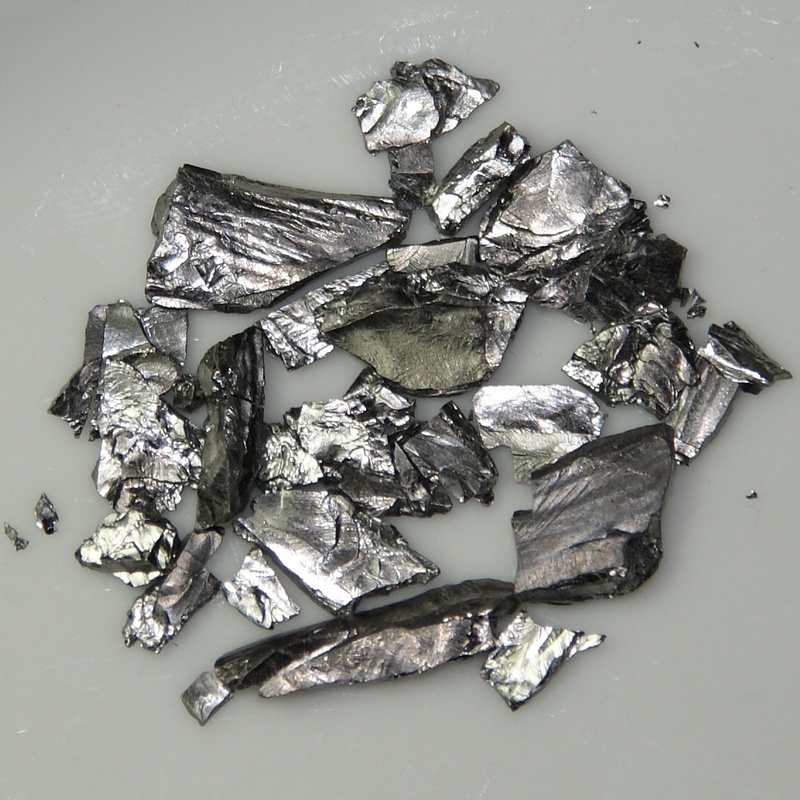 In 1846, Heinrich Rose separated the suspected metal from niobium to prove that they were different elements. However, certain impurities were still present in it. It was only in 1903 when Werner Von Bolton finally produced pure tantalum . 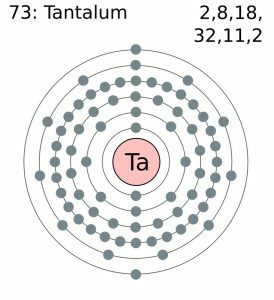 Although Ta is immune to chemical attack barring few acids and acidic solutions, it may become reactive at higher temperature . 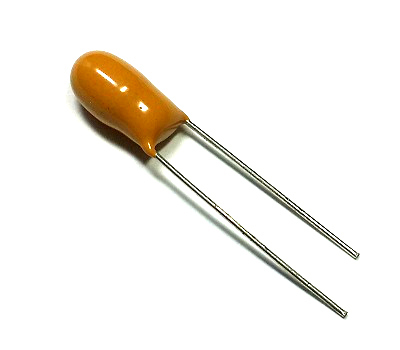 Tantalum is used in capacitors where an oxide layer formed on it acts as an insulator (dielectric) to store more charge. A thin layer of Ta is also coated on other metals to achieve a higher capacitance in a smaller volume. Due to this reason, it is suitable for portable electronic devices like mobile phones [1, 4]. The high corrosion resistance of the element makes it an important component in large-scale equipment such as pipes, tubing, tanks, heat exchangers, and vessels exposed to extreme corrosive materials [1, 5]. Tantalum increases the strength, ductility, and melting point of alloys used in turbine blades, and rocket nozzles and nose caps of supersonic aircraft . It is often used as an electrode in neon lights . Another use is as an economical substitute for platinum . It finds application as a component in AC/DC rectifiers . 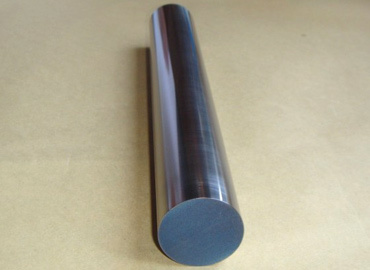 The element is used in the fabrication of chemical process equipment, nuclear reactors, and aircraft and missile parts . 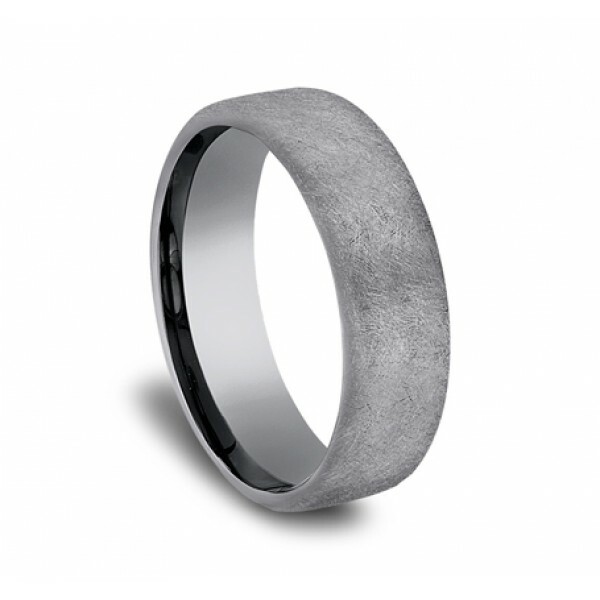 Another application of Ta is in the making of jewelry and accessories like rings and wristbands. It is used in the making of resistors. 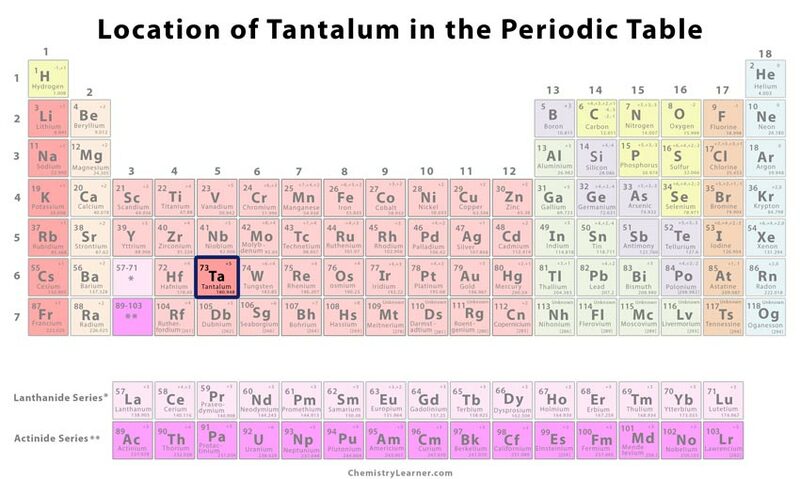 The oxide of tantalum is used to increase the refractive index of camera lens [2, 5]. 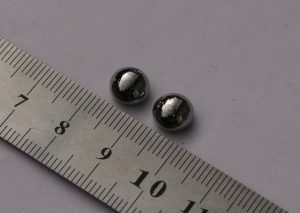 The carbide of tantalum, when combined with graphite, forms a hard composite that is coated on the cutting edges of high-speed machine tools . It exhibits low toxicity though accidental inhalation can lead to lung inflammation. Based on some animal studies, continuous deposits of Ta and its compounds in the body may cause severe pulmonary disorders . Ta was the first metal filament used in lamps between 1902 and 1909 before tungsten took its place . 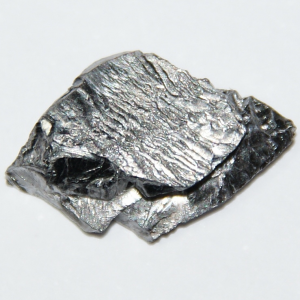 If the quantity of tantalum exceeds niobium, the mineral ore is labeled as tantalite. On the other hand, the mineral source is identified as columbite when the opposite occurs . Commercial tantalum is used mostly in its the powdered form to make electronic devices . 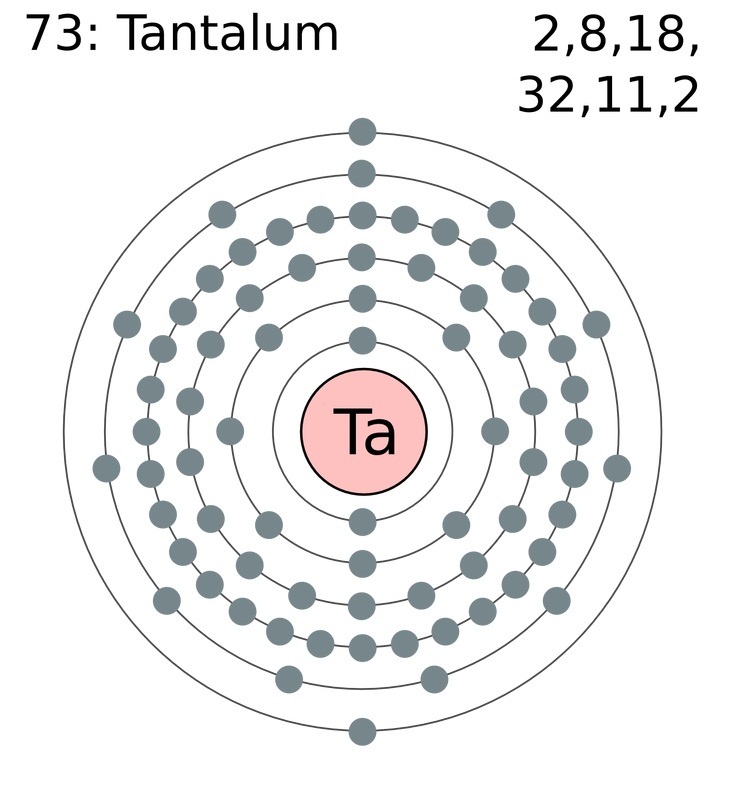 The unstable tantalum-180 is the rarest isotope in the universe . 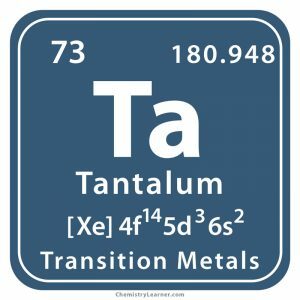 The cost of the element is somewhere between $150 and $170 per 1000 grams.